I’m not a huge fan of Ben Stiller, let me start by saying that. Tropic Thunder left me cold, and Meet The Fockers (both films) tested my patience. The only film I’ve ever enjoyed him in is the superb The Royal Tennenbaums, where he flourished under the direction of Wes Anderson. It may seem strange then, that I’ve chosen to see The Secret Life Of Walter Mitty, which both stars and was directed by, Ben Stiller. 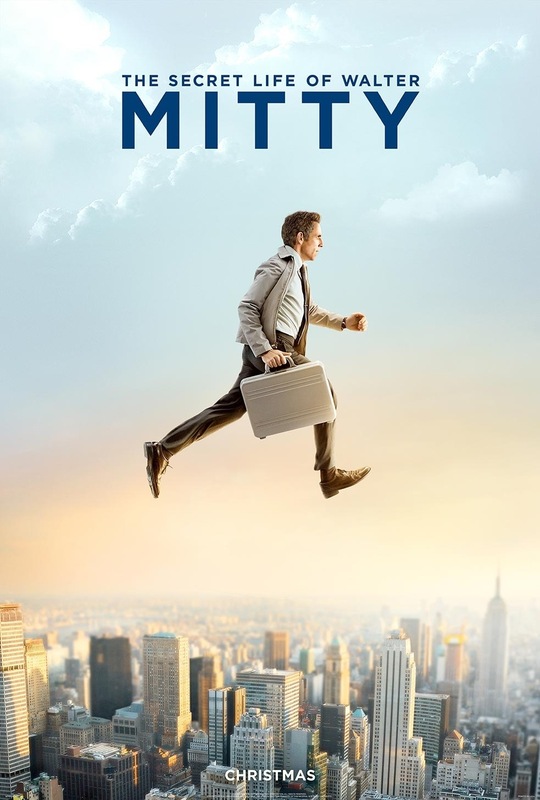 Essentially a remake of a film that itself was a remake of a 1939 book, this version of Walter Mitty has something else. Iceland. The story goes something like this; Walter is a day dreamer who has been nowhere and done nothing. Prone to frequent flights of fantasy, his job at ‘Life’ magazine in New York City is at risk following a take over. Walter is entrusted with the negative image for the final magazine cover. It promptly goes missing, Walter takes it on himself to find the photographer, and therefore the image. At the same time Walter is being inspired by / trying to impress Cheryl, played by Kristen Wiig. His travels to locate the errant photographer (who is conveniently adverse to both phones and email usage) take him to Greenland, Iceland and the lower Himalayas. During these travels Walter sheds his old life, via adventures such as wrestling a shark, avoiding a volcanic eruption, and photographing a snow leopard. Iceland features prominently throughout the film, featuring as itself, Greenland and even Afghanistan. There is some slight of hand involved here, which could be disconcerting if it wasn’t so damn beautiful. Stykkishólmur is the setting for the Greenlandic scenes, except when Höfn stands in for Nuuk airport, whilst – I could be wrong, here, and I’m sure an Icelander will correct me -Seyðisfjörður seems to have doubled for Stykkishólmur itself in some scenes. Confused? Wait until Skógafoss and Vatnajökull appear to have been transplanted into the Himalayas, or even that Eyjafjallajökull seems to have moved on the map. Maybe I’m being pedantic here. Iceland looks truly wonderful throughout. Stiller should surely have been paid handsomely by the Icelandic tourist board for just the shot of him skateboarding past the gorgeous Kirkjufell alone. There are a few amusing moments in Iceland too; cue an Icelander trying to teach Walter to say ‘Eyjafjallajökull’, the two Icelandic kids on the forecourt confusing him with rapid fire Icelandic, or the discovery of a US pizza chain in rural Iceland. If that wasn’t enough of Iceland for you, don’t worry, the film has liberal dollops of ‘Dirty Paws’ from Of Monsters and Men all over its soundtrack and trailers. In conclusion then, Walter Mitty doesn’t have the strongest story line, but this is more than made up for by the inclusion of copious scenes of Icelandic scenery. It’s fine as a post-Christmas, feel good film that doesn’t necessarily test you in your too-much-turkey-and-chocolate haze. In the end, of course, Walter wins the heart of Cheryl. One of their long distance calls between New York and Iceland sums things up. ‘Is it nice?’ Cheryl says.